Truck News/Truck West is the largest, most widely read, widely circulated publication in the Canadian trucking industry. It is by far, the preferred read of all trucking publications, bar none. Our audited request circulation figures attest to this fact. More people have requested to receive Truck News/West than any other trucking publication in the country. On average, we deliver two to three times more news and information than any other trucking publication in the country. No one offers more extensive coverage. More news, more features & more columns equals more value to our readers and advertisers.With a well balanced mix of trucking journalists with years of trucking experience and award-winning, hard-nosed investigative journalists, the editorial package we deliver is the most informative, insightful and honest that you'll find anywhere. 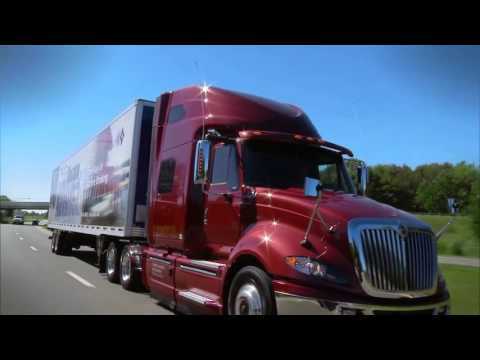 Volvo Trucks Canada is affiliated with Volvo Truck Corporation. Gothenburg, one of the leading heavy truck and engine manufacturers worldwide. We manufacturer a range of Class 8 Highway and Vocational products which offers leading edge innovation, safety and driver comfort while maintaining environment care as one of our core values.